Now may be a good time to reread this novel. Cuba is way off my beat, but like everyone else I’ve been interested in President Obama’s decision to resume diplomatic relations with the Castro government. It reminded me of two things, a novel by Elmore Leonard and an experience I had as a high school student more than half a century ago. 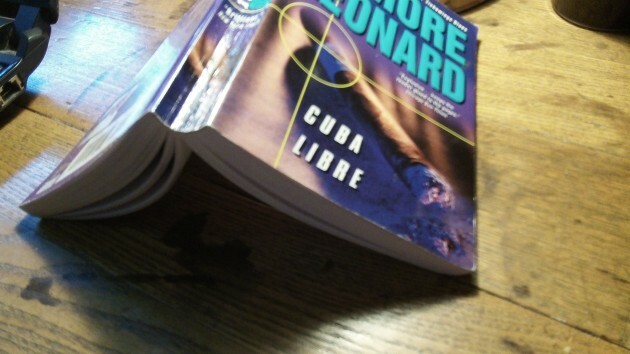 Leonard’s tale is “Cuba Libre.” Like most of the author’s other work a highly entertaining read, it’s described in one blurb as “a wild ride through Cuba during the Spanish-American War,” when Cuban independence fighters got help from the Americans in overthrowing Spanish rule. I doubt that the Cuban rebels fighting Spain intended to replace the Dons’ cruel rule with the equal cruelty of the Castro brothers’ communist ideology. But that’s what their children and grandchildren got, eventually, in 1959. That was also the year, if memory serves, that I had my one and only encounter with one of Fidel’s comrades. At least that’s what he said he was. He had traveled to the West German city of Cologne, where I was going to school. My friend Peter Simon had somehow learned of the Cuban’s presence, so we both set out one day to interview him for the school magazine. I don’t remember much of that interview, except that it took place in a darkened flat high up in some old walk-up. Castro had either just taken power or was about to, and the big question at the time was whether he was a communist more than a freedom fighter. “Is Fidel a communist?” we asked the emissary, and he denied it. The other thing I remember is that the man handed Peter and me each a big cigar, which I think we may have smoked on our way back to school. I’m surprised Obama didn’t promise millions in aid also. What do you expect from our president who a year ago set free (5) terrorists in exchange for an Army deserter. Say, just what has happened to that rat? ?